Well my dedicated readers, it's about time to put my skills to use. It was announced last week that two of my best friends, Brian & Brittany, are finally getting married. 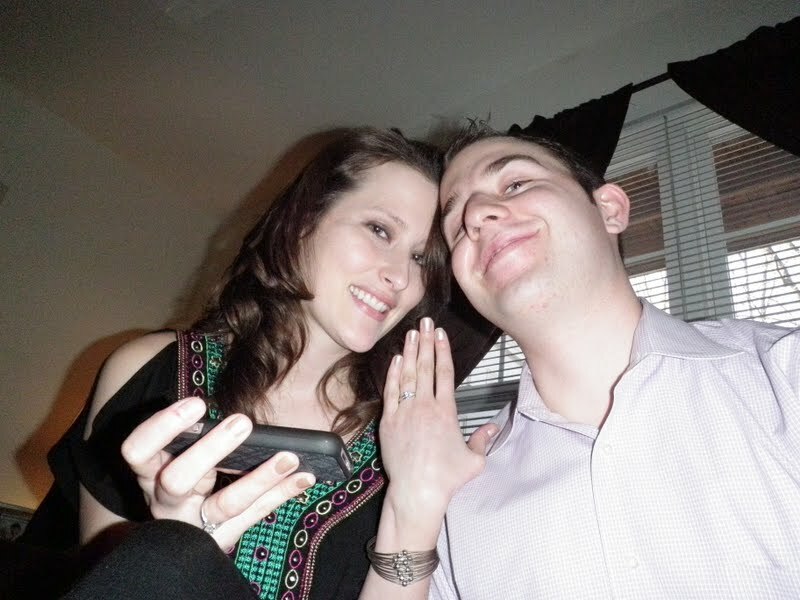 Brian proposed to Brittany in their apartment on their 5 year anniversary. We now have a wedding to plan!! 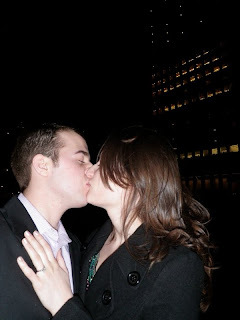 Brian and Brittany met way back in our freshman year of college while a group of us were hanging out in his dorm room. A few days later, they realized that Brian sat just a few seats behind Brittany in their psychology class. From there, the rest is history. The happy couple are planning a summer 2012 wedding in the Bar Harbor, Maine area. Brittany is from Fort Fairfield, ME (for those of you that never heard of it, like I hadn't, its roughly 8 hours away from Boston) and Brian is from Hamilton, MA. In order to accommodate as easily as possible both families, they chose Bar Harbor not only for its beauty, but also for the convenience of the location (being right in the middle of both families). I can't wait to see what they choose for a venue! 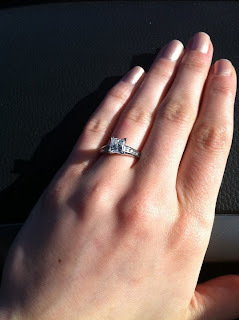 And what good would an engagement post be without a picture of the ring?! Yes - he went to Jared. very nice post, thanks meg!